THE BOOK OF DUST, by Philip Pullman, is another amazing journey from one of my all-time favorite authors, this time with baby Lyra and new and old characters to protect her. I love this series, forever and ever. THE RIVER, by Gary Paulsen, a fast-paced survival story that follows his amazing story, HATCHET. I read it in one sitting! 1973 Newbury winner JULIE OF THE WOLVES, by naturalist Jean Craighead George. “‘Change your ways when fear seizes,’ he said, ‘for it usually means you are doing something wrong.’” I now feel I can survive the tundra. I already know how to live with wolves. I had an amazing day yesterday at Atlanta Veg Fest 2014. 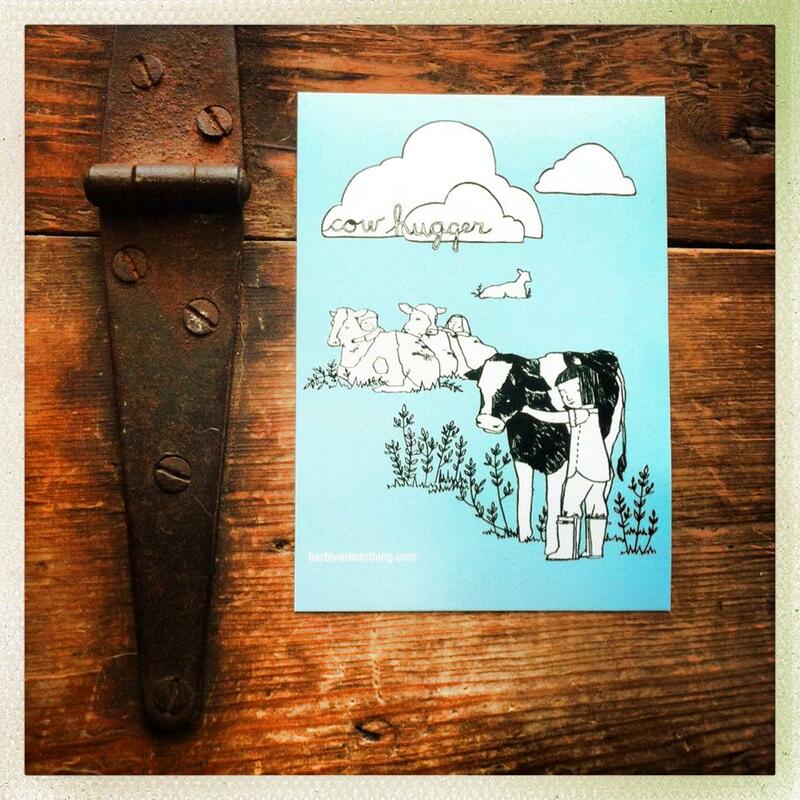 I’m an unabashed cow hugger, so I had to have this beautiful sticker from The Herbivore Clothing Company. Now, back to squabbling with my ten year old over the rest of the spoils of the day: stickers, buttons, shirts, cat toys, all to advance a cruelty-free world. This is National Bat Week! The first ever. Why? Because bats need our help. Don’t take my word for it. Listen to the experts. And the movie stars. AND BATMAN HIMSELF. So, go follow and support Save the Bats, a “public action campaign aimed at preventing the decline of this important and beloved animal in our ecosystem.” Thank you, Organization for Bat Conservation, for your great work. Meet Magnolia. 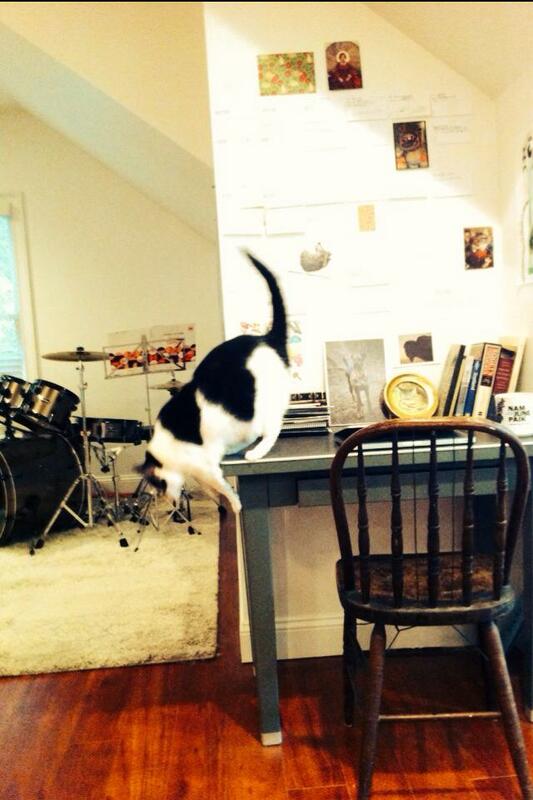 She’s the bookish cat in the family, not to be confused with the cat burglar cat of the family. She’s also now in a magazine called Scratch and it’s not even about cats even though it sounds like it should be. It’s a fantastic new digital magazine from Jane Friedman and Manjula Martin on “Writing + Money + Life” that digs deep into the real nitty gritty, revealing what happens at the intersection of finance with all the other aspects of writers’ lives. 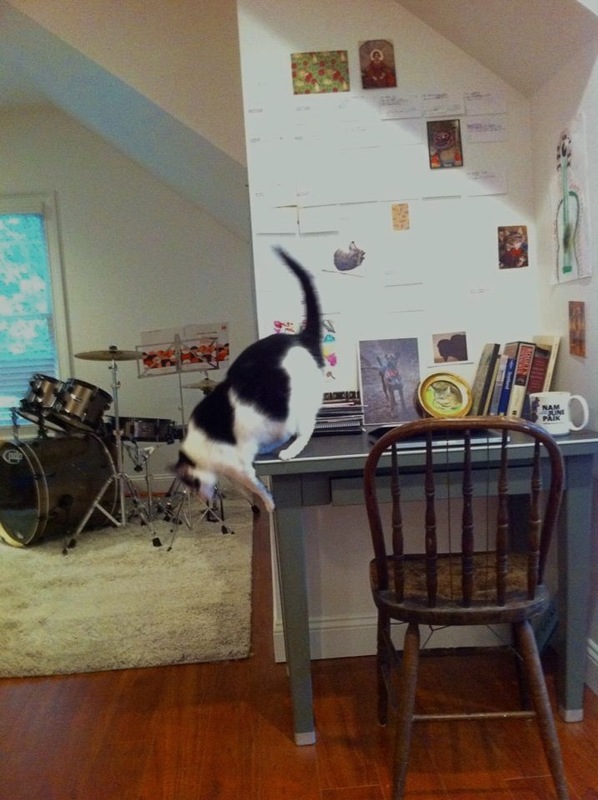 This particular article featuring my writing space is in the most recent issue in a tongue in cheek piece called “Real Writers’ Houses.” So, go sign up and enjoy many fantastic articles on making a living while also working at your craft. Sometimes, when you take yourself seriously, and you are really, really lucky, good things can happen. 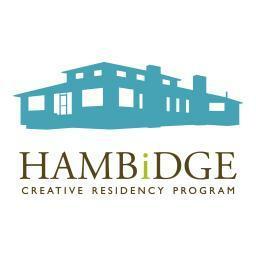 I’m so very excited to have been selected for a Creative Residency this Fall at the beautiful Hambidge Center! Situated on 600 acres in the North Georgia mountains, it’s one of the first artist communities in the United States. 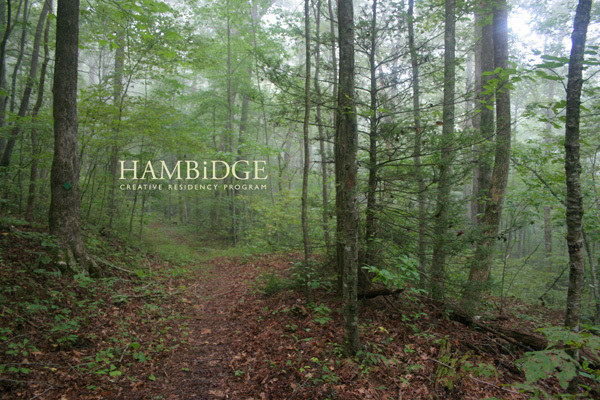 I look forward to writing with a view of the forest, streams, meadows, waterfalls and hopefully rare salamanders! It’s not my intention to post items that I consider to be too personal in nature on this blog or on any social media outlet. But this subject also has to do with my writing and my current work in progress, so I’m going to make an exception. I lost my best friend of 11 years this week, my dog pictured above. She was a dog’s dog, and I miss her terribly. She was one of the main inspirations for my middle grade novel, and her loss has me wanting to double down on my efforts to see the work published, in her honor. 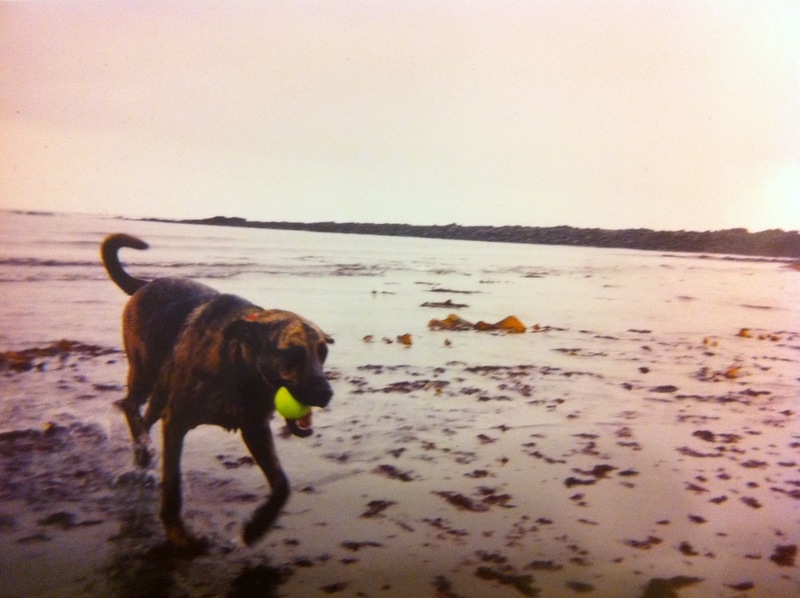 She was amazing and noble and intelligent, and athletic and cuddly – just the best dog there ever was. Writers get plenty of advice. It’s available on Twitter and Facebook and blogs, magazines and journals and books. It comes from all directions – other writers, editors, agents, PR folks, social media experts, my mother, my 8 year old, and more. I’m a particular fan of lists, like Best Blogs For Writers To Read in 2012, so much so that I made it into one: The Virginia Quarterly Review‘s 14 Writing Prompts. I do regular check-ins at places like Query Shark and closely follow my favorite hashtags on twitter like #editortips and #MGlitchat. I’m fairly new to writing, about a year in now, so all of these things have been essential for me to understand the process and business of publishing. I have learned so much in a short amount of time. 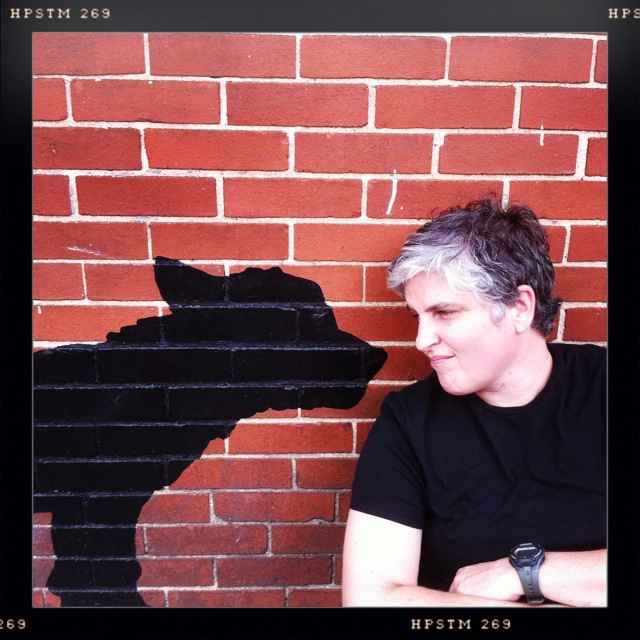 Now, however, I’m going to take the advice of a vlog I watched during the WriteOnCon online children’s writer conference, wherein publicist Meredith Barnes suggested that writers not blog about writing. Instead, she says, blog about things that you find interesting. I love this advice. I have way more interest in subject than process. Besides, the things that interest me greatly just so happen to be the things I’ve written into my novel. So from here out, I’m blogging anew. Expect a lot of animals. 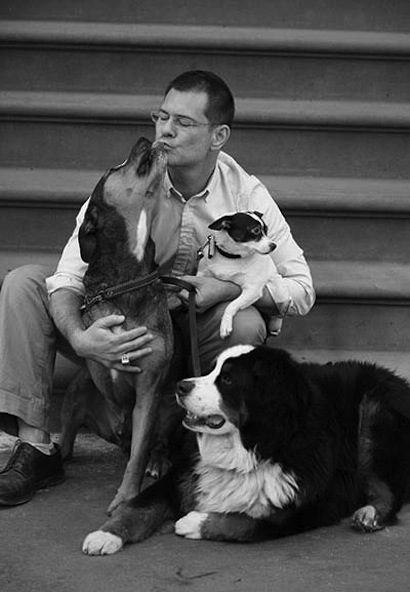 And learn about kind, genius people such as John Bartlett and the brilliant designs he’s created to help the animals. Enter your email address to follow my blog and receive notifications of new posts by email. Your email is private.